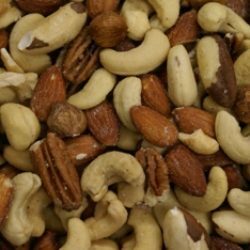 Fun & Inexpensive Gifts for the Holidays! With the economy in the toilet these days it doesn’t mean we still can’t give gifts to family and friends. However, the gifts we give may not be as extravagant but that doesn’t mean they’re still not fantastic. Here’s a fun idea to perk up those incredible treats you plan to share with everyone this holiday season. All for just under $5. Have you ever Mod Podged before? I’ve been doing it since I was about 8 years old and well, that’s a lot of years. It’s the perfect way to preserve something or design a unique gift to give or keep for yourself. 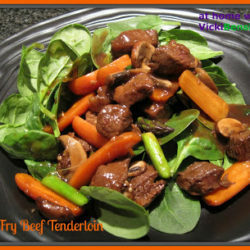 This particular project adds a nice addition to those treats that you plan to make for family, friends and co-workers. Instead of placing your cookies, etc. on a plastic or paper plate wrapped in cellophane and tied with ribbon why not make a lovely or festive plate to place your treats on. A plate that you give as a gift with your holiday treats! I’ve found that WalMart has great prices on all materials required for this project. Of course, you can get as fancy as you like by going to specialty fabric stores. Here’s what you’ll need. Paper to place under your project to keep your work surface clean. Place paper down on counter top and set clean dish on paper bottom up. Cut your selected piece of fabric out to cover the bottom of your plate extending about 1-2 inches all the way around and set aside. 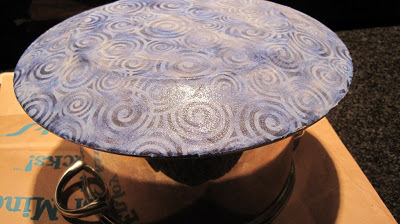 Brush a thin layer of Mod Podge over the entire bottom side of the plate. 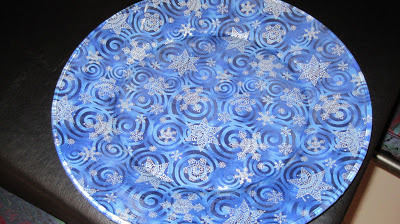 Lie your fabric over the Mod Podge covered plate being sure to smooth out the fabric onto the plate. Be sure to press out any air bubbles or creased fabric. Let rest a few minutes to adhere. With a sharp scissors cut off the fabric which extends over the plate being sure to cut next to the edge of the plate to insure a tight even fit. 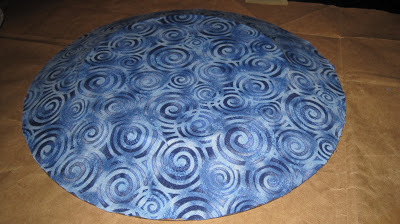 Cover fabric with another thin layer of Mod Podge. Lift plate up from paper and place on the bottom of a pot or something elevated for the plate to dry completely. 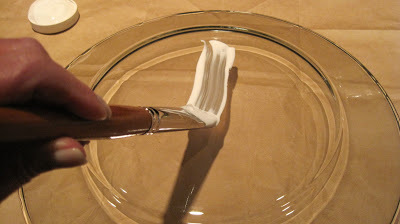 Drying could take up to 30 minutes depending on the thickness of the Mod Podge. 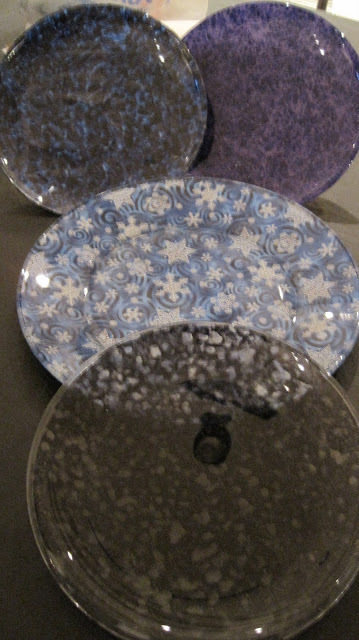 Once dried you have a lovely plate to set cookies on for your own celebration or to give as a gift with cookies or treats. 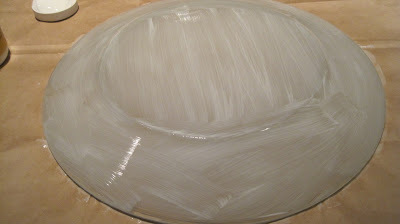 Remember there are a variety of glass plate shapes to choose from and bowls, so be creative. Giving a gift to a teacher? Find fabric with apples, numbers for a math teacher, etc. For Halloween there are tons of fun fabrics. You get the point. In fact, if you really want to be creative, find designs with flowers or other shapes, cut them out, and paste onto the plate. Once dried lay a colored fabric on top, following the Mod Podge directions. This fabulous and creative gift can be made for under $5. Hard to believe something this pretty can be so inexpensive. Note: The plate is not dishwasher safe. When cleaning simply clean the top, without submerging or getting the bottom side, with fabric, wet. You are amazing, cook and creative as heck! WOW! this is fabulous! There’s something about this time of the year. I always tend to get crafty. I’ll make just about anything and stay up late into the night just to finish it. 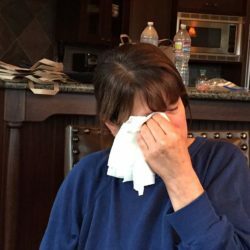 Vicki – that is GREAT! What a terrific gift idea! There are so many different amazing materials you can use out there now! You are SO creative! I’m going to pass this to my daughter, who is really crafty, too! Thanks for sharing! 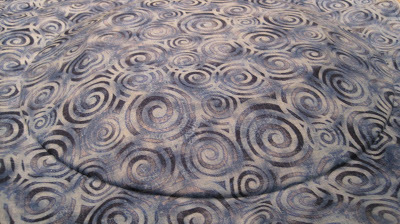 @Ann – The possibilities are endless for fabric. 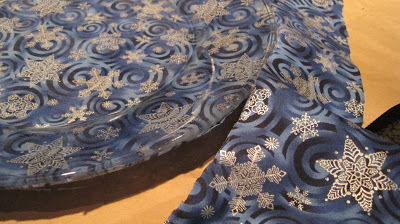 I purchased the fabric for the larger plate at a fabric store where they had isles of holiday prints of all sorts. The others were purchased at WalMart. @Lizzy- This is so simple to do you can even have your children or grandchildren help you. 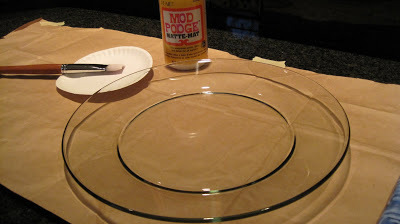 Just be sure your plate is clean and that you have your fabric cut and ready to place on the Mod Podged plate before it dries. You’ll love all your creations as will those you give them to. @Catherine – I’ve been making these for years. When I was a little girl I had a carnival in my backyard where I donated all the proceeds to a charity. An article was written in the paper with a photo. I took that article, cut it out, placed it on a heavy-duty board that I then Mod Podged. I still have it to this day and it’s in perfect condition. In fact, it looks exactly the same as it did the day I made it. Thank you everyone for stopping by and posting your comments. That is such a cool idea – I like it! @Cakelaw – Please try to make them. They’re fun, easy and make a great gift, especially if the plate is filled with cookies. This is really fun. Question — do you have to worry about the fabric edges fraying or does the 2nd coat of modge podge take care of that? 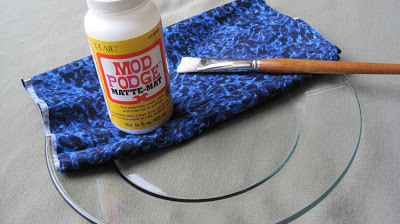 @Linda – If you see that the edges are not sticking to the plate prior to putting the final coat onto the top of the fabric, then add additional Mod Podge on the plate where the fabric didn’t stick. Then press fabric edges down to adhere. 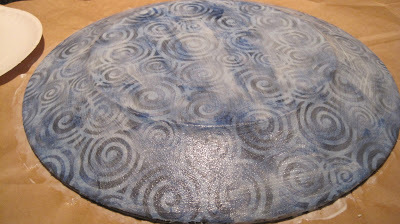 Once that’s done, go ahead and add the final layer over the entire surface and edges of the fabric and allow to dry. Your edges will be sealed down and protected so they won’t fray. I hope that answers your question. If not please let me know. The design possibilities are endless. Thank you for your comments and for stopping by. Have a great day. 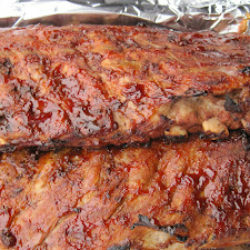 @Angie – It is cool and easy to make. Hi Vicki! I’ve never heard of mod podge before and it was fun learning from your step by step! My kids can do this with me and like you said it’s a great gift idea for their teachers! Nami your kids will have so much fun doing this. They can decorate a plate for the holidays and fill it with a great treat that you all make together. Not only do you save $$ but spend quality time together, which is key.